Traditional lending institutions maintain rigorous regulatory and loan approval requirements to protect the end-user. As a result, a large porson of the world’s population does not have access to lending services. Individuals who did not fulfill a compulsory minimum credit history and small businesses operating in emerging markets find it difficult to gain access to the traditional financial system. This has given rise to an increasing demand for peer-to-peer lending services. Union proposed solution through the blockchain technology implementation. The rapid advancement of blockchain technology has led to a fundamental shift away from conventional lenders being the leading intermediary in the lending industry. Peer to peer lending is gaining momentum as the next development in the financials sector. Union leverages the added of both blockchain and cryptocurrency to improve the experience of both lenders and borrowers. We have therefore, developed a platform, which supports cryptocurrency and fiat currency for the purposes of peer-to-peer lending. UNION is a decentralized peer-to-peer lending and savings marketplace platform, which connects borrowers and lenders from all over the world in a trusted, fast and uncomplicated manner leveraging the benefits of Smart Contracts and Blockchain technology. The platform will serve as an ecosystem for banked and unbanked individuals to create and participate in various decentralized financial products. Using blockchain technology, Union incorporates trust and social capital into lending and savings process while eliminating the need for the “trusted third party”. This will drastically reduce the interest rate of borrowing and as well make the process of access to capital faster than traditional banking methods. Union has established expertise in offline community lending system and as well in generating online ifnancial services in the lending sector. We want to take our services to another level to give the users our platform the best possible experience by leveraging the power of blockchain technology and smart contract system to improve the peer-to-peer lending process. Union first initiative is to put Collectively Investment Schemes, also known as trusted lending circle, or Rotating and Savings Credit Association (ROSCA) on blockchain. Collectively Investment Schemes is used around the world to lend and save money within communities, to support each other financially. As the existing Collectively Investment Schemes work on silos within the separate communities, traditionally it is very hard to leverage the reputation and trust outside of one’s trusted circle. With Union social capital gained can be utilize across the platform, as the solution is decentralized, transparent, secure and auditable. This will help us in creating an ecosystem of financial products, which users can avail, based on their reputation. The Union project aims to provide an alternative decentralized lending solution to individuals and small businesses with the use of the innovative blockchain technology. The Union Blockchain lending platform supports both Cryptocurrency and fiat money. 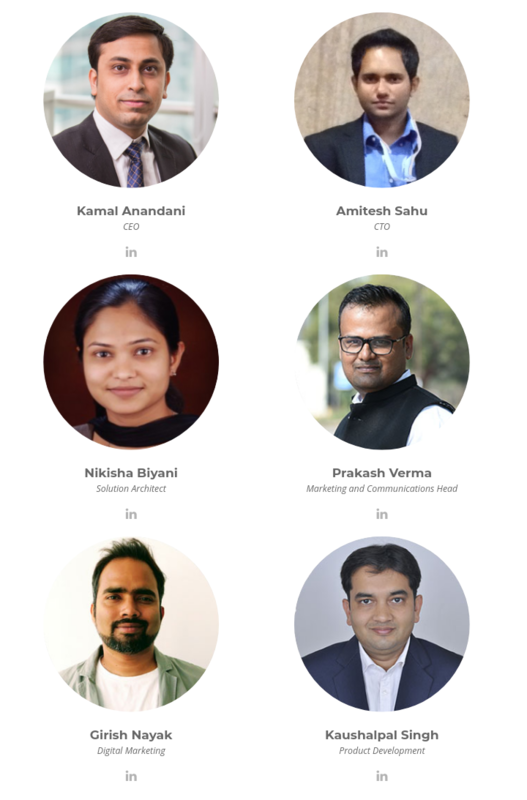 To create an e-democratic financial ecosystem for banked and unbanked individuals, on blockchain technology while making use of trusts, commitments, and social capital. To improve the financial inclusion of the individual by leveraging the blockchain technology. We are going to do this by removing the inefficiencies in the existing system, and automating the different processes of lending and borrowing. 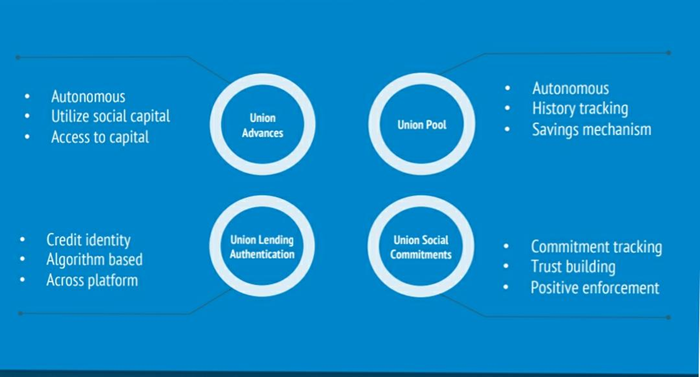 Union will focus on developing portfolio of financial products that will use social capital and trusts of an individual. 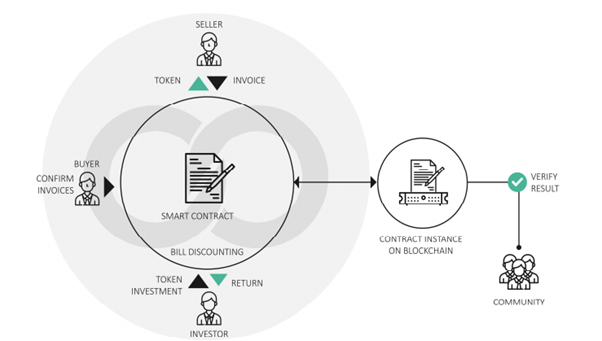 Smart contract which is a binding contract and is secure and safe while it monitors the basic working of the platform. Decentralized which helps it to work globally for all the individuals. Auditable as it can be audited easily. Encrypted so that your data is safe and secure. Transparent so that people can know what actually is going on at the ground level. Union Pool – Basically it is a decentralized platform for collective investment schemes. Schemes will run using smart contracts to automate and save the lending process. It will have all the features of chit chatting, funding, bidding and assigning the projects while it will monitor all the working of the platform efficient. Union Social Commitment – It works on the basis of a social ranking which is given to the individual of the platforms after the completion of smart contract. More the trust, more the people you will have to invest in your idea. More will be the connection which will be used ahead. Union leading authentication – It also works on the basis of rankings which is given on the basis of the worthiness of a user on a platform that includes timely payment of other scheme funds, other projects and their social accounts. More the credibility score more will be chances of people trusting the individual and after that, they can establish their connection outside their circles too. 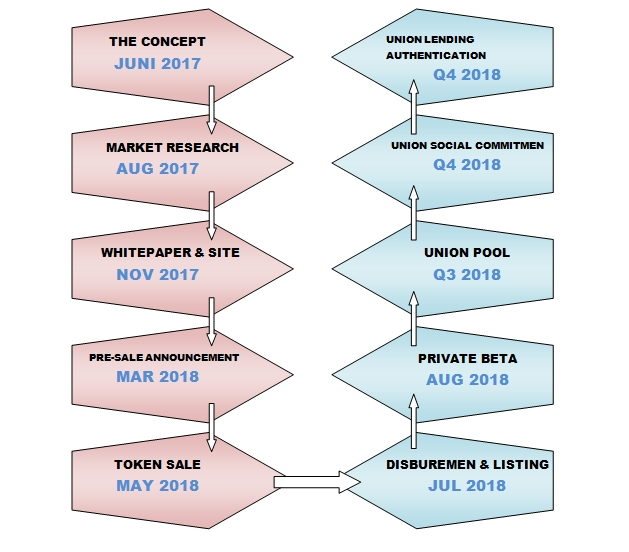 Union advances – An individual owning a business when once gets the credit score and gains trust then they can make their own smart contracts to be fulfilled by the people. As it is decentralized and democratized, everyone can take part in it increasing the chances of business to grow accordingly. The Union (UNI) Token is a token on Ethereum platform. It is ERC-20 compliant, and follows widely adopted token implementation standards. Ethereum is a popular cryptocurrency and blockchain system based on the use of tokens, which can be bought, sold, or traded. The ERC-20 defines a common list of rules for all Ethereum tokens to follow to accurately predict how new tokens will function within the larger Ethereum system. The token sale started 1st May 2018, and you can be a part of this saving platform very easily and conveniently. The token sale will use UNION tokens to make transactions in the token sale event. In the month of July, the token sale will be over. The Token sale will be a 2-month (60 Days), starting 1st of May until 29th of June 2018 or when our targeted funding value of 5,000,000 USD is reached, whichever is the earlier. Token Pre-Sale: There will also be a pre-sale of the UNI tokens before the said launch date, also know as Pre-Sale. People participating the Pre-sale will be entitled to specifics discounts in the form of additional discounts, as per the agreement. This will be a invitation only basis, however there will be minimum number of tokens need to be committed to be qualify for the pre-sale. Schedule of the token sale is given below.